Alfalfa has long been associated with being used in livestock feed, but many rose growers have found it to be a “secret weapon”. Alfalfa has been found to boost bloom production and increase basal breaks. Basal breaks are when a new shoot develops at the bud union or graft site of the rose bush. 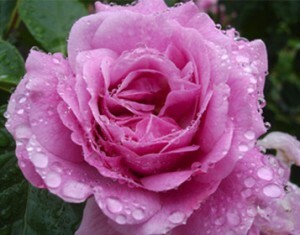 Basal breaks are a rose grower’s boon because they mean vigorous growth and bloom production. The new growth is some times used for cuttings. What Makes Alfalfa So Special For Roses? As alfalfa decomposes it releases a chemical called triacontanol. Triacontanol is a natural growth stimulant for roses and other plants. This stimulant has an extraordinary reaction when it is absorbed by the rose bush root system. The roses produce more growth, brighter, fuller blooms and plenty of basal breaks. There are several ways you can use alfalfa when growing your roses. Alfalfa hay can be used as a mulch around rose bushes. As the hay decomposes it adds organic matter and nutrients to the soil. This can be a relatively slow process and the hay can mat after repeated wettings. This matting can cause issues such as water runoff. Alfalfa pellets and meals can be used to provide the benefits of alfalfa to your roses. Simply sprinkle a few handfuls of alfalfa pellets around the rose bushes and water in. Alfalfa meal is basically ground up alfalfa cubes or pellets. This is much quicker because it decomposes faster, getting the good stuff to the roots quicker. The con to this process is mainly aesthetics – if you want gorgeous looking roses the pellets and meal can be somewhat unsightly. If you use alfalfa pellets make sure it is not the kind used as rabbit feed. These pellets can contained unwanted sugars. Using an alfalfa tea is the quick and easy way to get the powerful nutrients to the roots of your roses. This is done by collecting alfalfa leaves, drying them out, then allowing the leaves to steep in water for a few days. This can be time consuming, back-breaking work. Authentic Haven Brand has already done all the hard work for you by offering a convenient alfalfa tea bag. Our alfalfa tea bags are filled with all-natural alfalfa that has already been dried and is ready for brewing. Alfalfa is grown naturally at the Haven Ranch in permanent, native pastures that are absent of any pesticides or herbicides – just as nature intended! 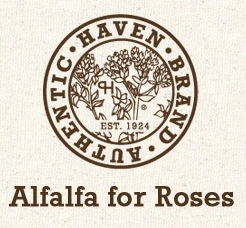 Authentic Haven Brand Alfalfa Tea is the perfect way to feed your roses and show them the love they deserve. 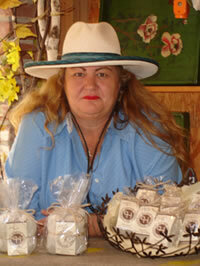 To check out our full line of all-natural soil conditioner teas, please visit our website – Authentic Haven Brand. Hi Annie! Other than roses what other edibles and ornamentals like alfalfa tea? In reading the comments and directions for brewing it appears that one tea bag makes 5 gallons that needs to be used within a couple of days. In the case of alfalfa tea for roses, how would I brew a small amount at a time as I only have 2 roses in containers ? Also, what if anything is the difference between using cow vs. Horse? Thank you for contacting me about Authentic Haven Brand Natural Brew, premium soil conditioner teas. Haven Brand teas are extremely versatile, easy to brew and feed. 1) You can steep per directions in a five gallon bucket for 3 days and feed your garden and indoor plants. 2) You can steep a tea bag in a smaller container per the directions and dilute the concentrated tea by one cup tea to eight cups water. 3) You can steep a tea bag in a small container over night and feed your plants (undiluted) when you brew this way take the steeped tea bag and allow it to trip dry in a safe place to use again as needed (this works with cow, horse and alfalfa teas). Cow manure Vs. 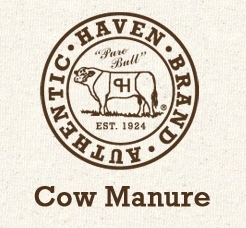 Horse manure tea it is truly growers choice, since my horses and cows are grass fed there is little difference between the two. 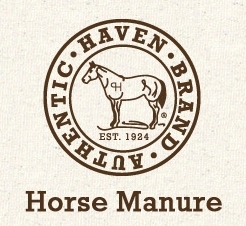 Horses are normally fed a higher diet of alfalfa making their manure hotter, that is not the case with Haven Brand. I have award winning gardeners that feed both. Please feel free to contact me at any time if I can be of further assistance to you. Hello Pauline, You may brew a small container of the alfalfa tea allow to steep for a day, hang tea bag in a safe place to drip dry and you can then reuse at a later date. Just some delicious alfalfa tea from @GreenSoil http://bit.ly/b6Xg4X Well, *my roses *will think it's delicious.